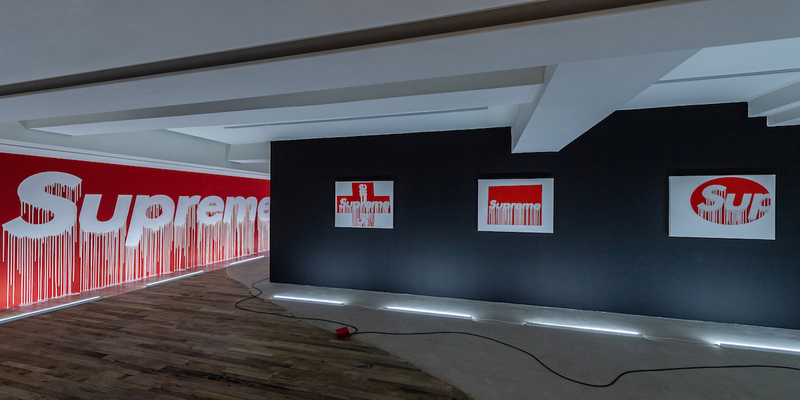 Aguirre Schwarz aka Zevs "Supreme même"
Since his early beginnings in the streets of Paris, France in the 1990s, Christophe Aguirre Schwarz (also known by his artist name Zevs pronounced “Zeus” like the Greek god and adopted from the suburban train that almost killed him) has been interested in the ways power has been exercised by corporations through branding and logos. 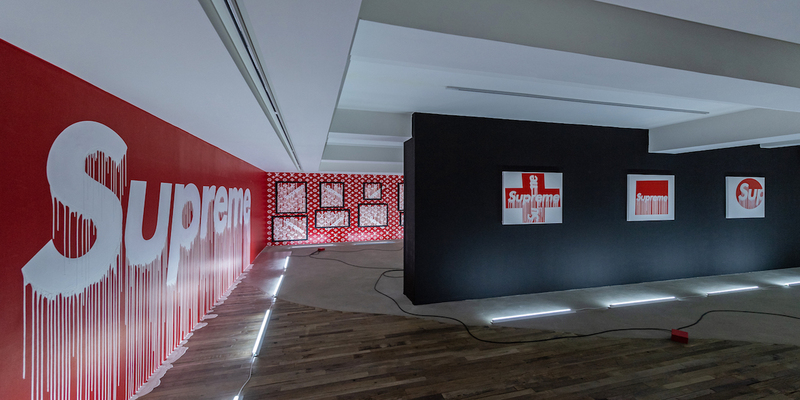 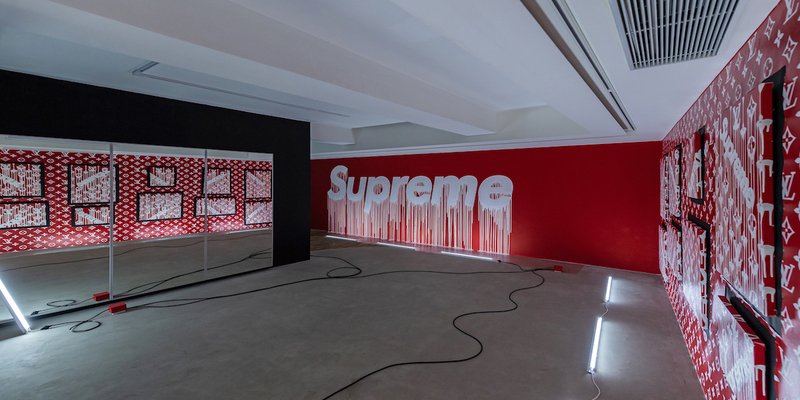 Best known for his “Liquidation” series, Schwarz has used his signature technique to question the power of brands from gasoline tycoon Shell to luxury brand Chanel. 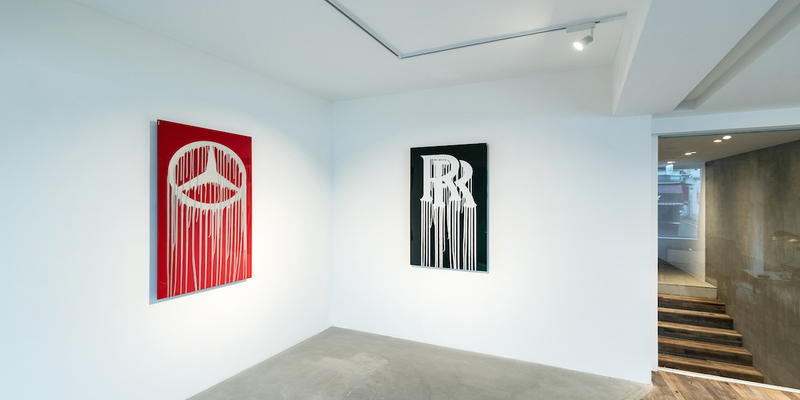 Schwarz believes that logos are the key to a brand’s identity and the way it interacts with the public. 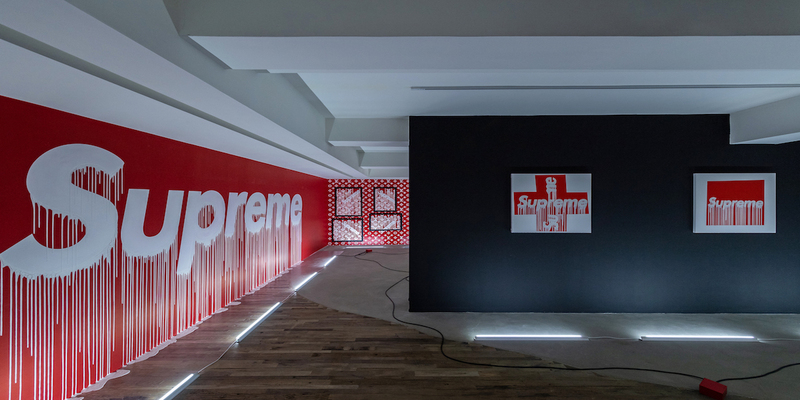 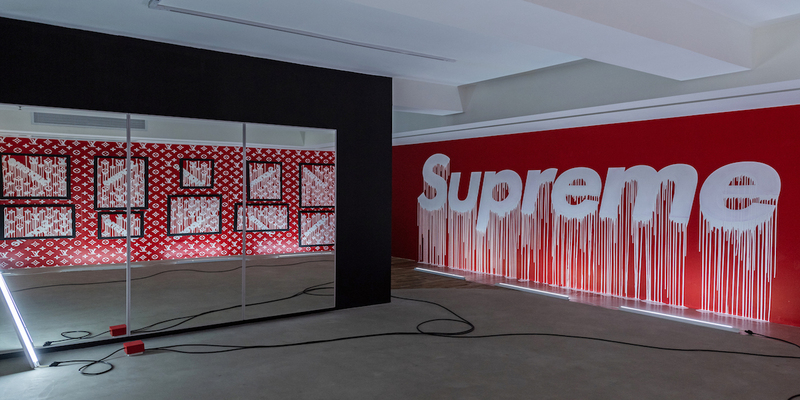 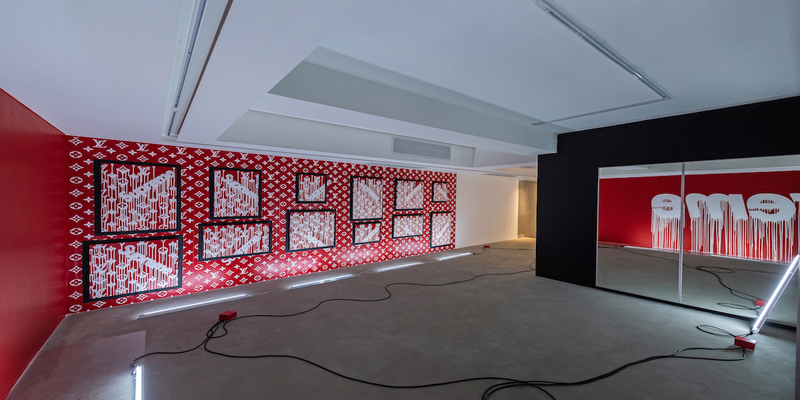 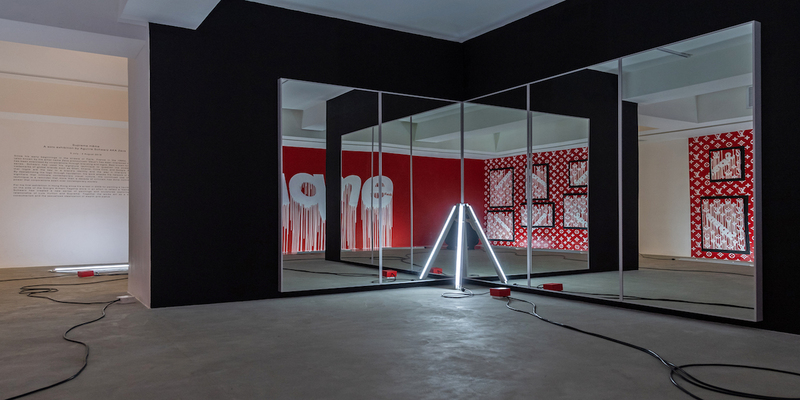 By destabilizing the logo through liquidation, his work attacks the network of social codes and signifiers that infiltrate contemporary visual culture. 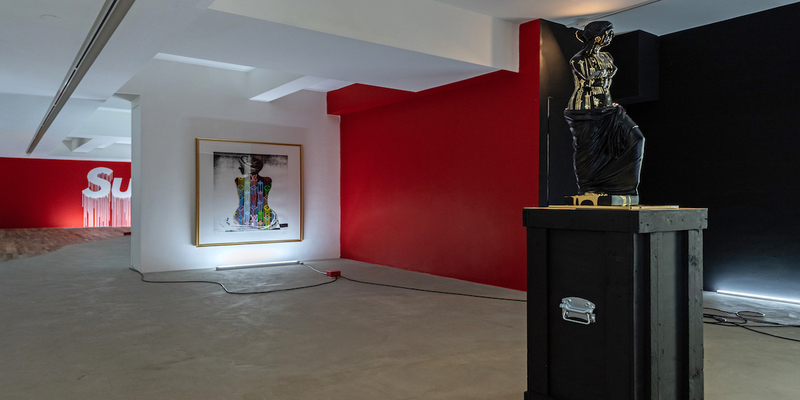 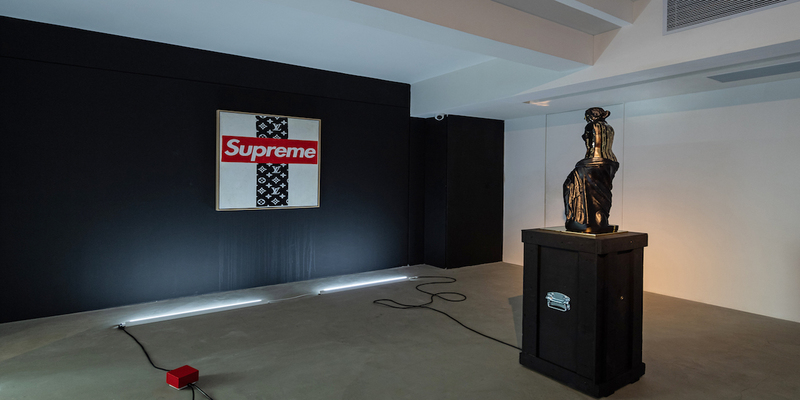 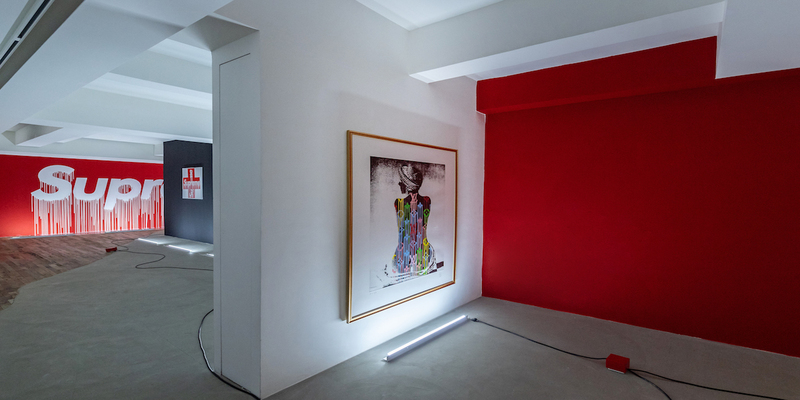 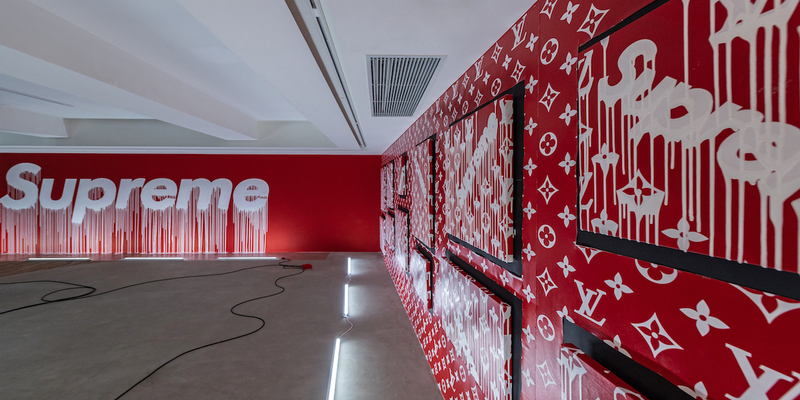 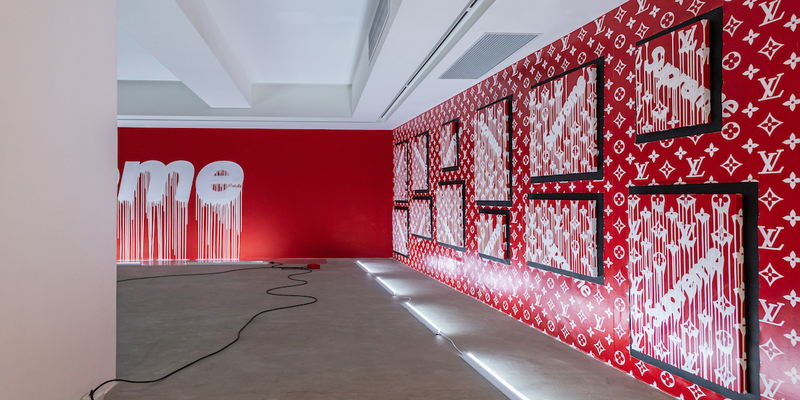 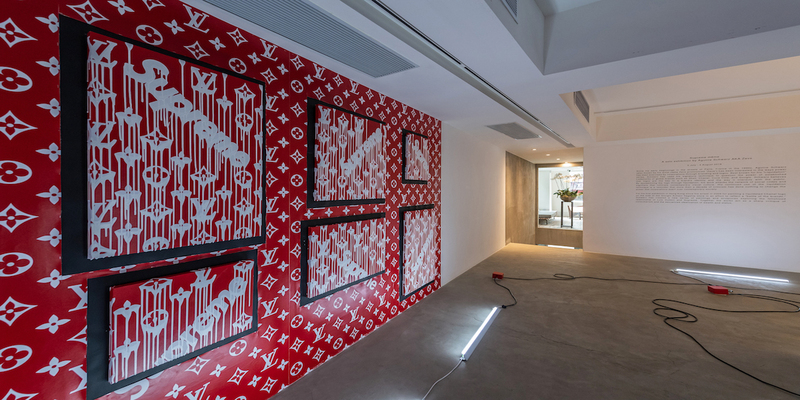 For his first exhibition in Hong Kong since his arrest in 2009 for painting a liquidated Chanel logo on the side of the Giorgio Armani flagship store in an effort to reflect a “battle of the brands,” Over the Influence will present a selection of recent paintings and sculptures focused on the fetishized collaboration of LV and Supreme. 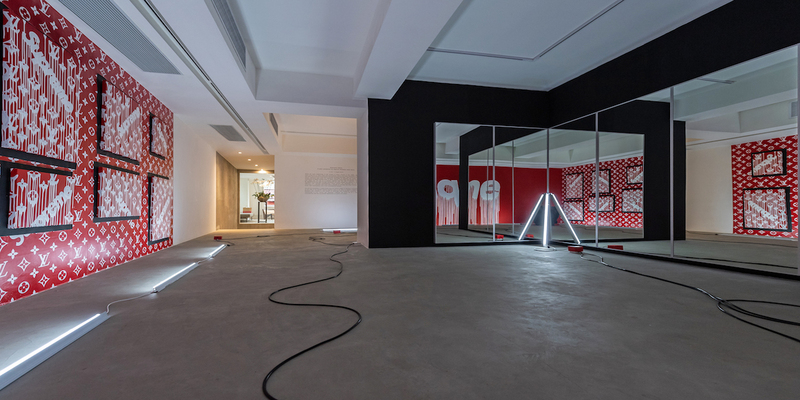 Together the works act as a sharp critique of consumerism, and remind us that more than a decade of criticism has done nothing to change the power that corporations exert over contemporary society.